This has been a monumental week in American history. People in my family will have the right to share the same privileges that I do with my significant other and Americans will continue to have access to healthcare. There is nothing more important than health. If we are sick, we cannot take care of ourselves or others. Maintaining our health – mentally and physically – is of paramount importance to be able to contribute to others and the world. I suffer from chronic depression, and for the most part is not apparent from the outside, but it is a part of my life. As I near the completion of the fourth decade of my life, I am able to better recognize the signs and symptoms and try to work through it, rather than feed into it, literally. When I suffer through a period where it lays a dark veil over my eyes, I crave comforting food that does not make me feel better. So I make every effort to create food that both comforts me, but lifts me up so that I can continue to work towards brighter days. One way to brighten up my life, is to brighten up my plate. 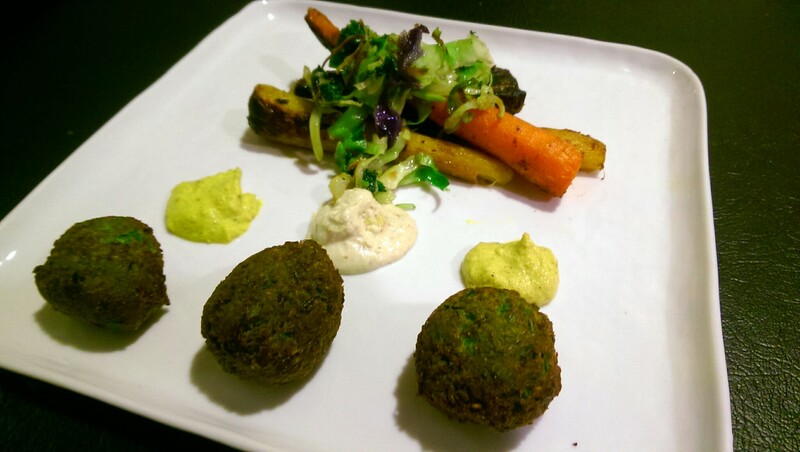 Recently, on a work trip to Chicago, I dined at Trencherman, and had the most amazing green pea falafel with grilled carrots and a coconut, hemp, vadouvan spiced cream. As I took my first bite, my first thought was “OMG” and my second thought was I need to make this, my way – gluten-free, dairy-free and full of protein. It was comforting, satisfying, and keeps me light and happy, even during darker times. I know, depression is not a lively topic, but it is one that should be spoken about more and surprisingly enough, speaking about it does not have to be depressing. Sometimes, I use a glass of wine and a period of time in the kitchen performing some kitchen magic to clear my head, feel productive and create something fulfilling. There are so many choices for veg in spring and summer, but one of my absolute favorites is fresh peas. They are tender and sweet. You can grow them easily, buy them in the pod, or shelled…or frozen year round of course. I know a people who avoid legumes because it irritates their digestive tract, but I don’t have a problem with them and they have more protein than grains and a decent amount of minerals. Chickpeas/garbanzo’s are typically used in falafel. 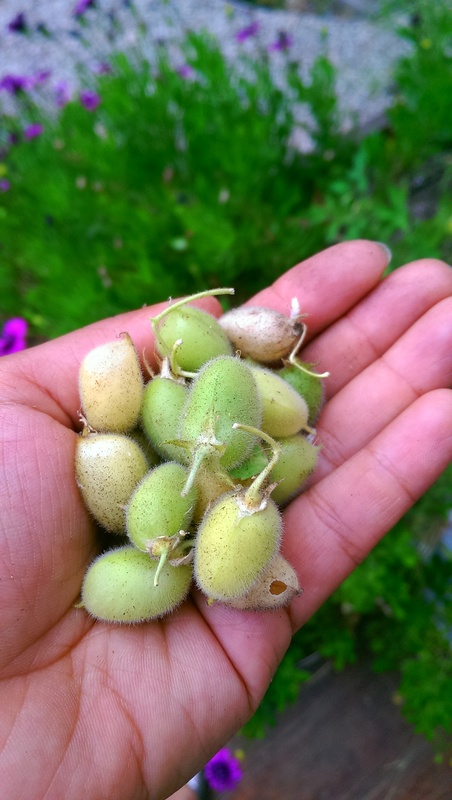 They are harder to grow than green peas and typically you do not find them fresh. I managed to grow chickpeas this year and fried them up with some cumin, chili and salt in the husk and ate them like edamame. I highly suggest you try some if you ever find them fresh or grow them. 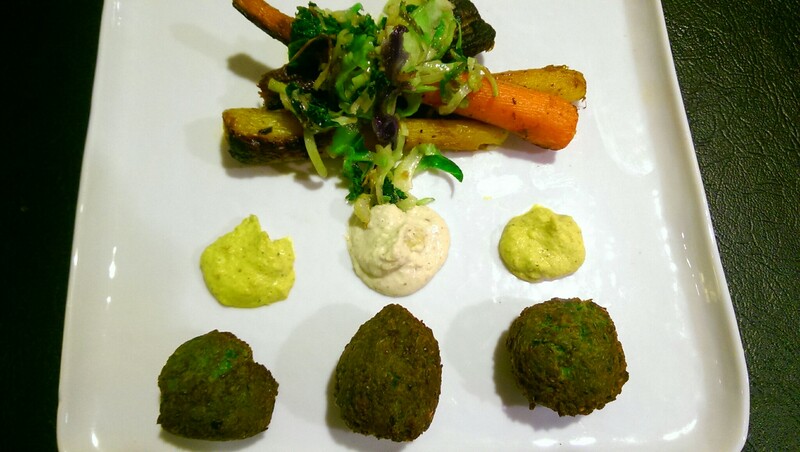 But I love the idea of a fresh green falafel – the vibrant color, the lightness and sweetness of the green pea. I used fresh peas, blanched (in boiling water for one min and then in ice cold water to preserve color and flavor), but you can use frozen peas, thawed as well. 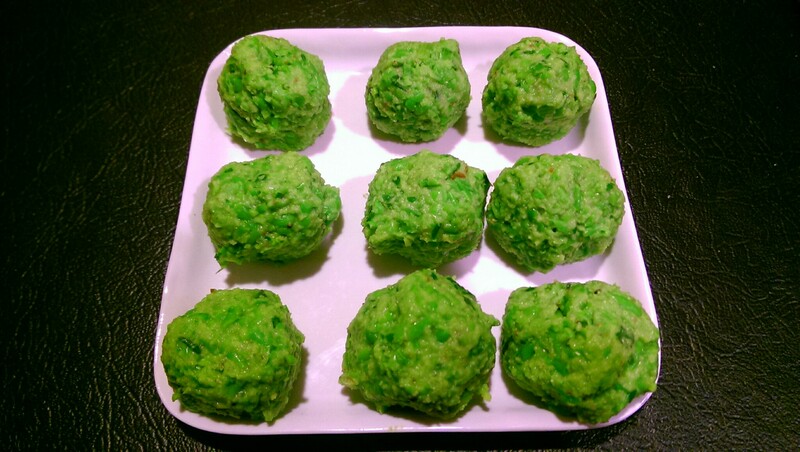 These were pulsed until coarsely chopped in a food processor and set aside. Parsley, rosemary, garlic, shallot and scallion were blended it in a food processor before they were mixed it in with the peas (I had a great kitchen helper for the mixing). Green peas are used as a protein supplement as well. Since 1 cup of peas only has about 8 grams of protein (plus fiber and a whole bunch of other goodness), you can add a scoop of pea protein powder for an additional 20-25 g of protein. 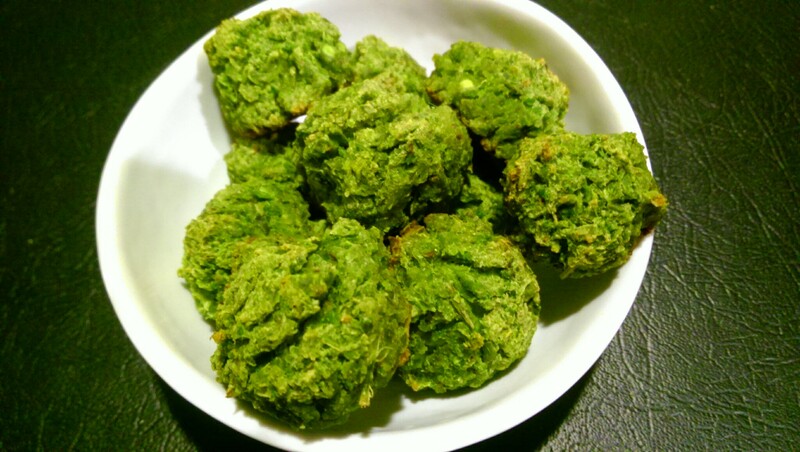 The restaurant used hemp, though I am not sure if it was in the falafel or to thicken the sauce. For flour, rather than use a gluten based flour, to up the protein and stay in the realm of legumes and the original falafel, I used garbanzo fava bean flour. However, I also used coconut flour, garbanzo (no fava) flour, green pea flour and whole wheat flour and all came out tasty. 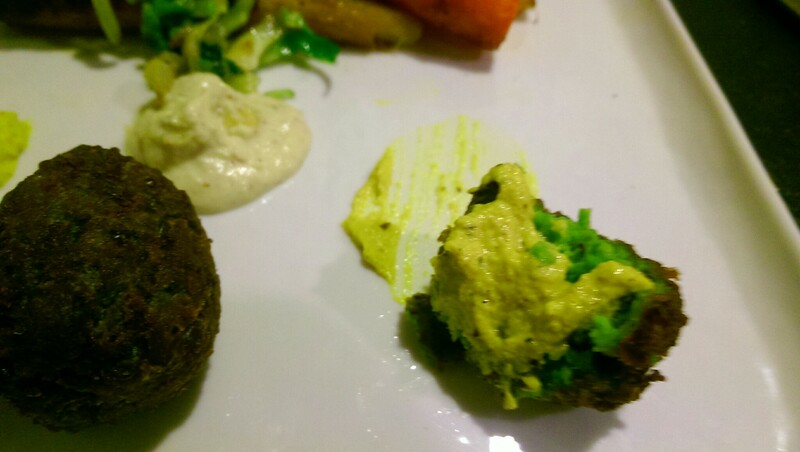 The flour and pea powder were mixed in with the spices and made into a sticky dough that held together but was not too moist to roll into small falafel balls. and either way the result is amazing. 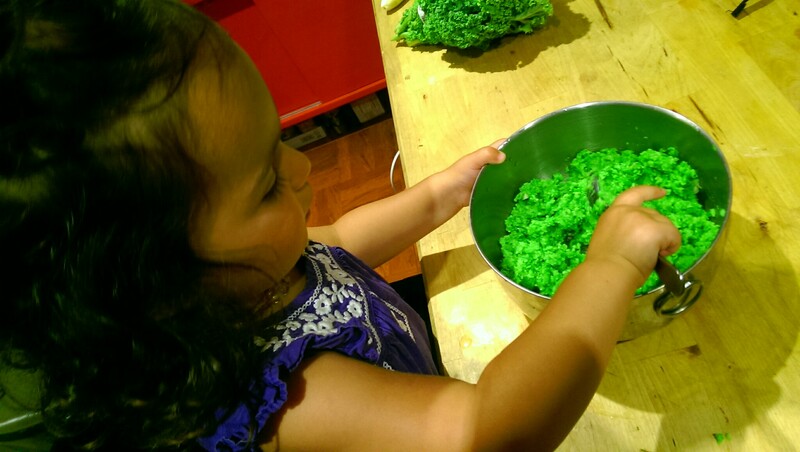 Vadouvan is a French Indian spice blend – just like my daughter – and as complex as she is. It is savory, sweet, spicy, and intoxicating all at once. It surprises you. You can buy it ground or make it yourself. It elevates whatever you add it too – butternut squash soup, deviled eggs, curry, and so much more. 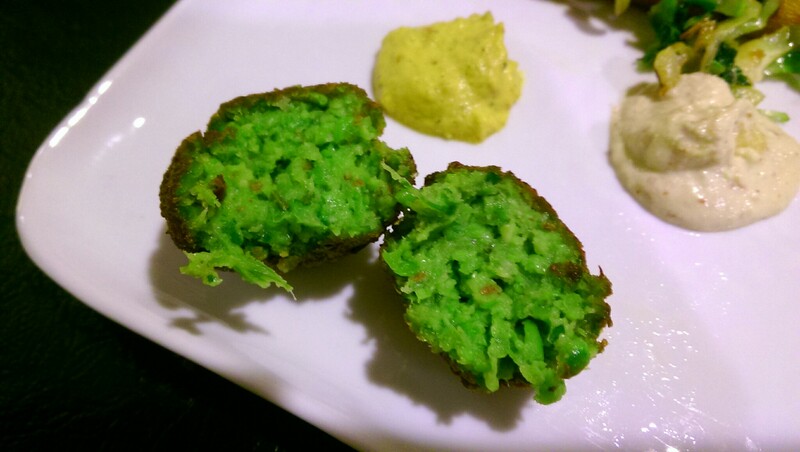 The flavor goes well with the savory sweet green pea falafel. 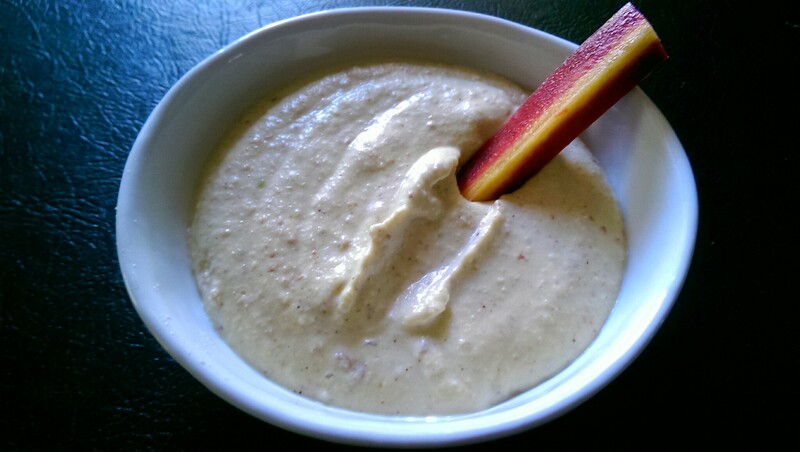 You can simply mix it with yogurt or a thick coconut milk, but I blended it into a cashew cream. I also made a hummus that was chickpea free – because if we are substituting the main ingredient in the falafel, why not the hummus as well. 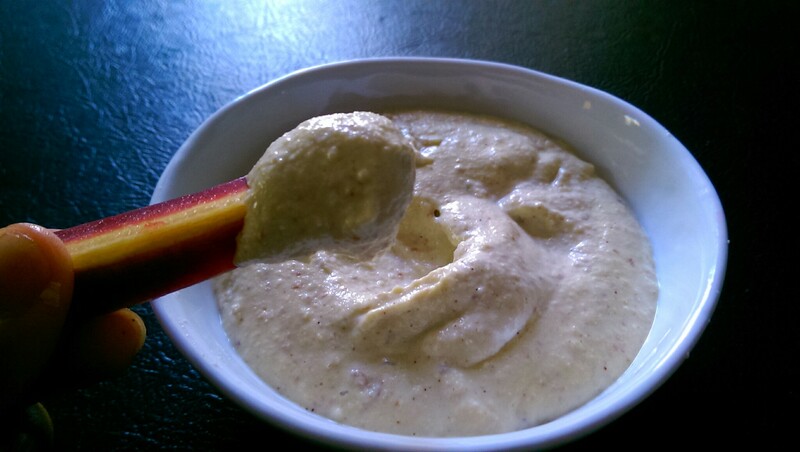 For this hummus I used zucchini, because it is starchy and holds up well and almond (for thickness and you guessed it – protein) and cashews (for silky smoothness and fat). I left the skin on the almonds which gave some color and visual texture to the hummus, but you can also use blanched, skinned almonds. 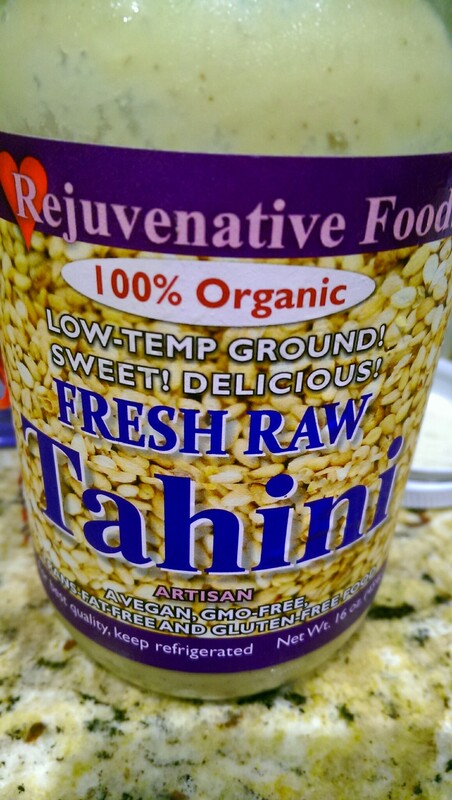 I also used a raw law temp tahini – all tahini is essentially raw, but the processing can alter the taste because heat creates radicals and may cause it to have a slightly rancid flavor – like burnt oil. You can also make your own. I served this as a regular hummus and no one knew this was not chickpea based. It was flavorful, thick and stood up on it’s own, like a regular hummus. 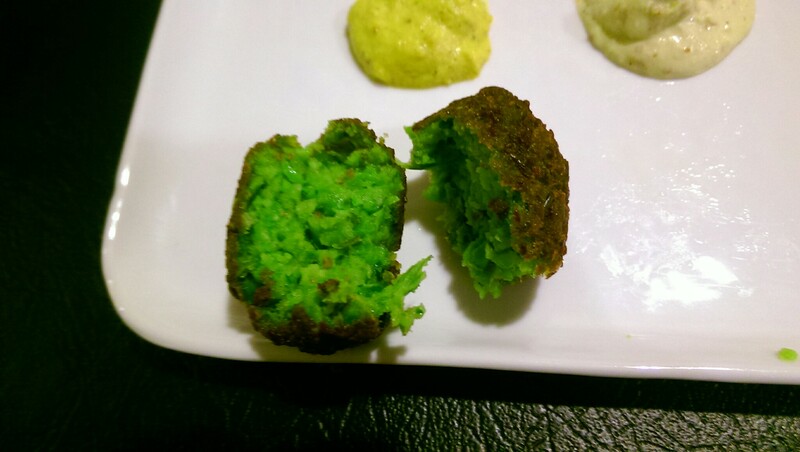 I would play with it and add some different flavors for fun, but it tasted wonderful with the pea falafel as is. You could eat the falafel, hummus and vadouvan sauce in a lettuce wrap with some cucumber and tomato, or as I had at the restaurant, as a more elegant dish. I grilled some rainbow carrots and sautéed some brussel spouts and cabbage and ate it all together. It was quite an incredible meal. And seemed to lift my mood as it was comforting and did not weigh me down. Place peas into a food processor and pulse until coarsely chopped. Set aside. Place garlic, shallot, scallio, rosemary and parsley into food processor and blend. 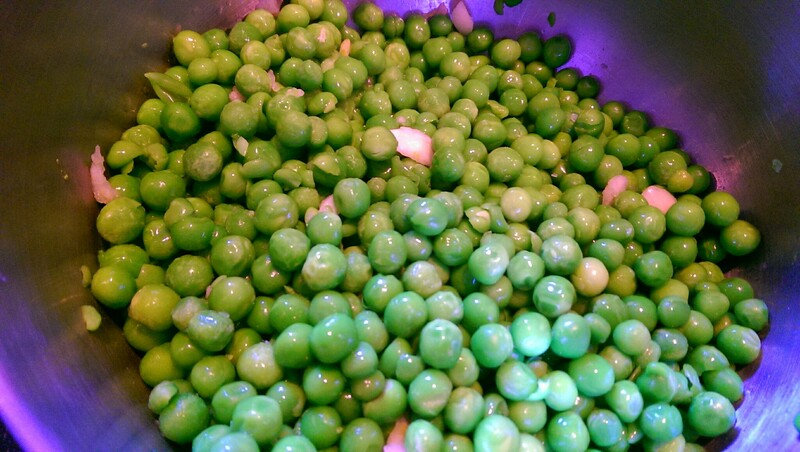 Mix with peas. Add spices and lemon juice – mix thoroughly with peas. Add flour and protein powder if using and incorporate. 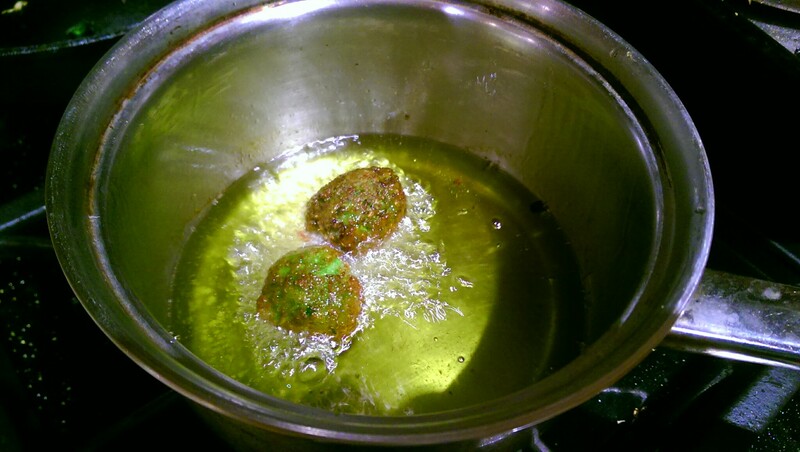 Roll into small balls and refrigerate for 30 min to 1 hr (or overnight). Heat small amount of oil in a pot or heat oven to 400 degrees F.Place gently into oil (make sure oil has not reached smoke point) and cook for about 2-5 min until golden brown. Or place into oiled oven sheet oven and brush ball with oil. Cook for about 15-20 minutes until golden brown. Blend cashews, lemon juice, vadouvan, salt and 1/4 water in a food processor. Add additional water until desired consistency reached. Blend until smooth and creamy – may take up to 10 min depending on your food processor. Place almonds, cashews and 1/2 cup olive oil into a food processor and blend until smooth – about 10-20 min (add small amounts of water as needed). Place aside. Add remaining ingredients into food processor and blend until smooth. 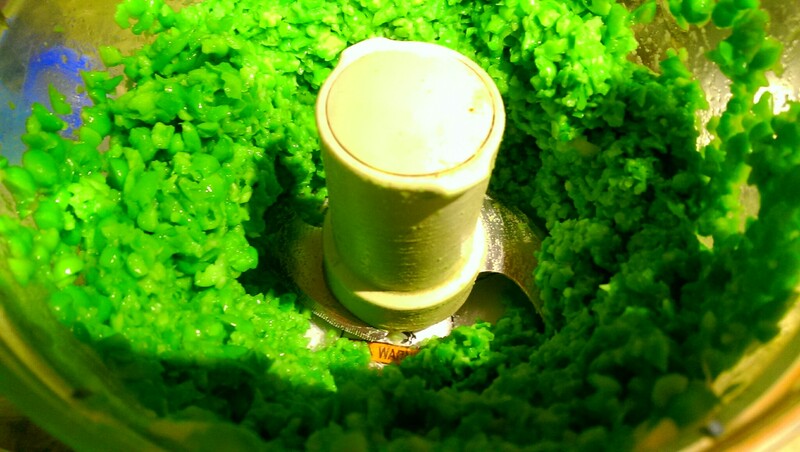 Return blended nuts back into food processor and incorporate. Add water as needed until desired consistency reached.